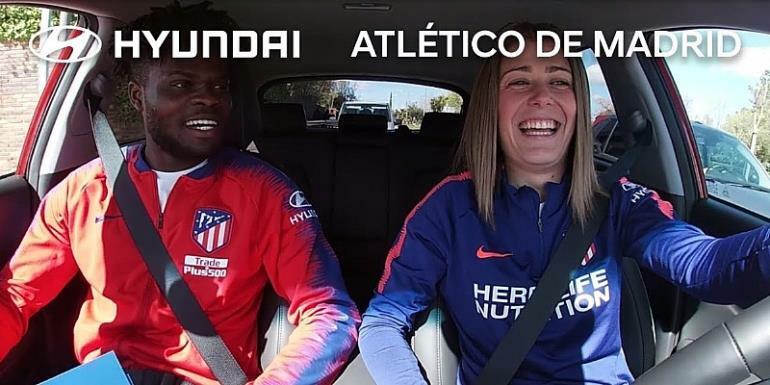 Thomas Partey was involved in a ride interview session with Spanish female international and Atlético Madrid Femenino defender Carmen Menayo Montero after Saturday's win over Deportivo Alaves. The Ghanaian midfielder scored a stunning goal against Mubarak Wakaso's Deportivo Alaves. The 25-year-old have been impressive for the La Liga all season.